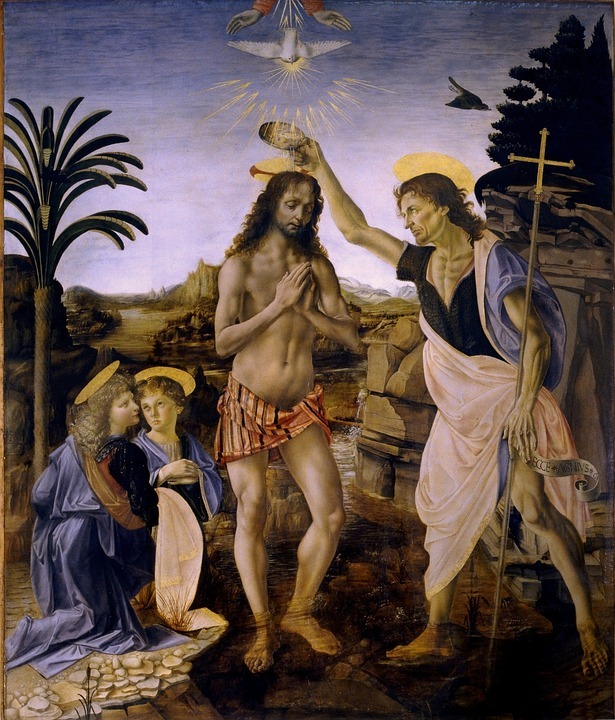 A widespread understanding in much of the literature about the historical Jesus is that Jesus’ baptism by John the Baptist is an indisputable fact. The reason for such certainty is said to be that no follower of Jesus would fabricate a story in which Jesus appeared to submit to the authority of John; the event was too well known to be avoided.) That is, an appeal to what is called the “criterion of embarrassment”. A handful of scholars (e.g. Arnal, Mack, Vaage) have expressed doubts about the historicity of the episode by appealing to its “mythic” character. Others have pointed to the dialogue in the first appearance of the scene in the Gospel of Mark (John says Jesus is greater than he), followed by the Gospel of Matthew’s dialogue in which Jesus has to persuade John to go through with the ceremony (John protests that Jesus should baptism him), then the brief incidental reference to the baptism in the Gospel of Luke (John is arrested and then we have a sideways remark, “Jesus also being baptized”…. ), through to the Gospel of John failing to mention the baptism completely. These allegedly embarrassing undeniable facts are being spread by the Christians themselves. It stands to reason that these story elements serve a purpose in the narrative. We can also identify many verses in the Old Testament that the author of the Gospel of Mark used in order to flesh out the appearance, setting and words of John the Baptist but those details are for another time. If the baptism of Jesus was fabricated by the earliest evangelist then we naturally want to know why. One explanation that is sometimes suggested is that the Gospel of Mark presents an “adoptionist” Jesus. That is, Jesus the man only became a “son of God” at the baptism when the spirit entered into him. If so, then Jesus only became John’s “superior” after he had been baptized. But reflecting on another recent post, Jesus’ Baptism Based on Abraham’s Binding of Isaac?, I think I can see another explanation, one that does not rely upon the adoptionist view of Jesus in the Gospel of Mark. By opening his mission with baptism Jesus is said to have begun his earthly career with a symbolic act pointing to his death and subsequent glory. That explanation would also help us understand why there is no baptism scene in the Gospel of John. That gospel consistently stressed the glory and power of Jesus and remove any “less than perfect” or “less than all-powerful” human attributes. If so, then there was no more room for Jesus to be baptized than there was that the Gospel of John’s Jesus would be in torment or helplessly arrested in Gethsemane.